The nominees are... — Jg. Friday evening, Saturday afternoon, and Sunday afternoon were almost like holy days for me. I've said before, I think, that I'm not a religious person. I have no church affiliation. But there are places that, for me, are fairly close to church, places where I go to disappear: diners, or bookshops, or ballparks. And movie theaters. I'd already seen two of the Best Picture nominees (Arrival and Hell or High Water) but I'd missed all of the others during their original theatrical runs, mostly because I've been in edit mode on my latest project. It was nice to make up some ground here, and see the remaining few movies in a short marathon. 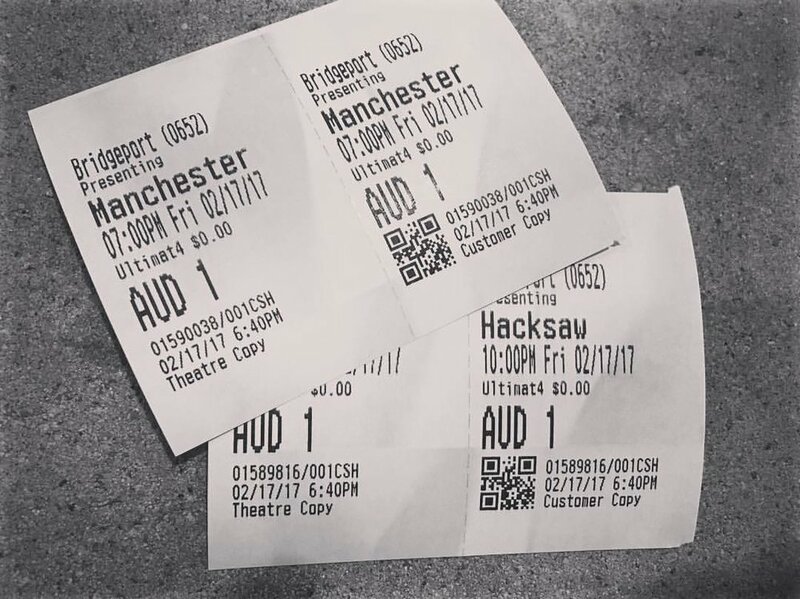 Friday started things off with Manchester by the Sea and Hacksaw Ridge; Saturday was Lion and Moonlight (for which Felicia joined me); Sunday was Fences and Hidden Figures. 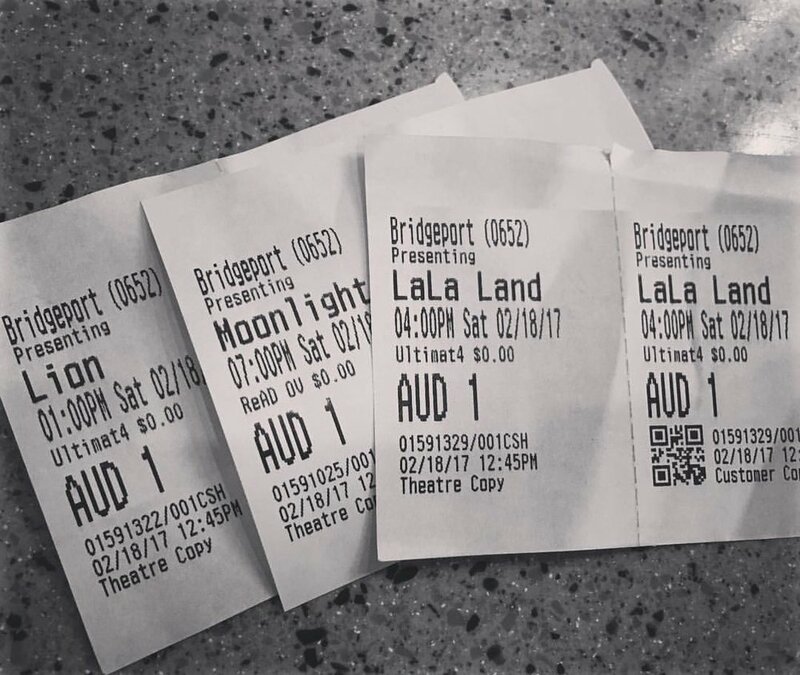 The only movie I failed to watch was La La Land. I was so rocked by Lion that I couldn't bring myself to move straight into a lighthearted musical so soon. There were several deserving films here, along with a few that I thought didn't quite rise to "Best Picture" level, whatever that level is. Almost every last one of them seemed to scrape me from the inside out, some in unexpected ways. I know there's lots of talk about who's going to win, but I don't care that much. I'm happy to have seen all of these movies for myself. My personal favorite was Lion, which I knew a little about. Perhaps it's because my child is not far from the age of the little boy who has lost his way. It was beautifully acted, and I'm fairly certain I watched the entire film through blurred eyes. Of the remaining films, Moonlight stands out as something exceptional and beautiful. Monday was a federal holiday, so I spent it with Squish. We saw The Lego Batman Movie. She laughed. At one critical point, she loudly demanded, "What. Just. Happened." It was everything the previous three days of movies had not been. It won't be a Best Picture nominee, but I couldn't care less, because I got to share it with her. I'm looking forward to the day I can share movies like Lion and Moonlight with her, too.